After months of trying, deleting, restarting, realizing how bad it is and starting again, hating myself, etcetera etcetera, I believe I am finally on the path to complete my map. This one is much better than my previous maps, in terms of borders (though they are still a little sloppy, they are so much better than my previous maps. See for yourself if you dare). There's still months to come before the map is finished, but oh how I will rejoice when the day arrives. Each territory is worth one army per turn for every territory that it borders (might change that later)(Iceland doesn't have enough people for political accuracy to matter, otherwise most territories would be worth 0). 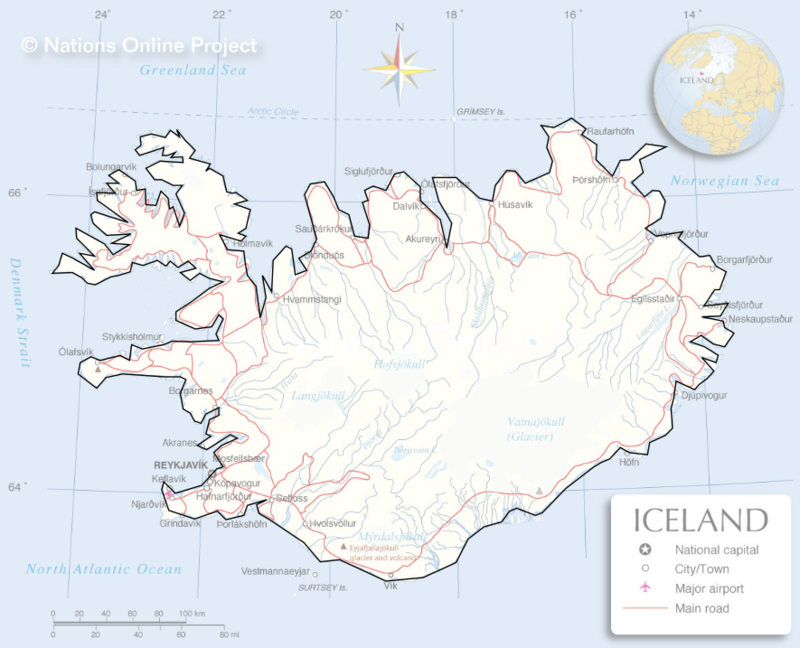 Also, again, since Iceland doesn't have enough people, they also do not have enough towns for me to name the territories after. Thus, though I hate the idea, I have to name most territories with names provided from a name generator, sadly. Anyway, please give me feedback (even though it's not too far along). Let me know if you'd like to help me test it.....someday. Noted. I was thinking of removing it to make it good old fashioned black again anyway. 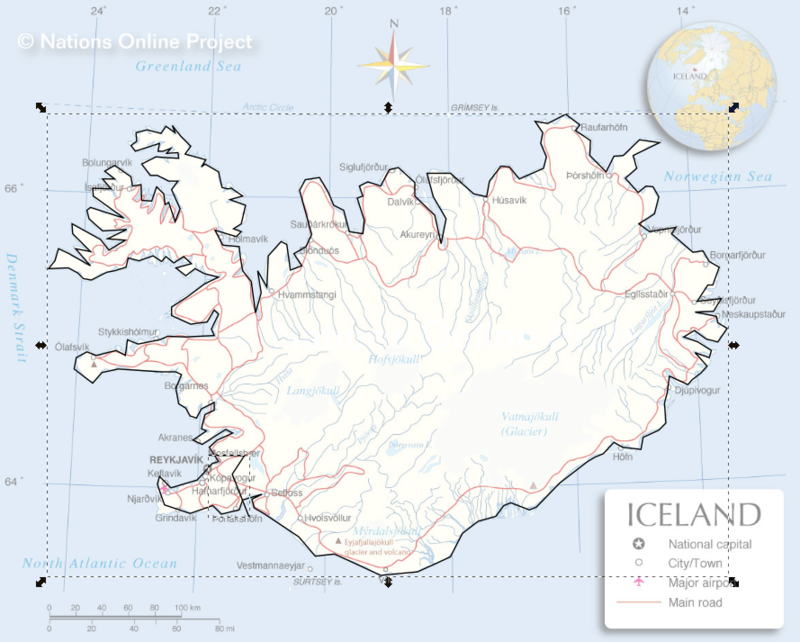 Alright, to be completely honest with you this map is way to huuuuuuuuuuge to depict Iceland properly. If you're on your way using a random generator I expect this map to contain more fictional material than it does realistically. Perhaps I would question if this is going to be a real-life map after all? 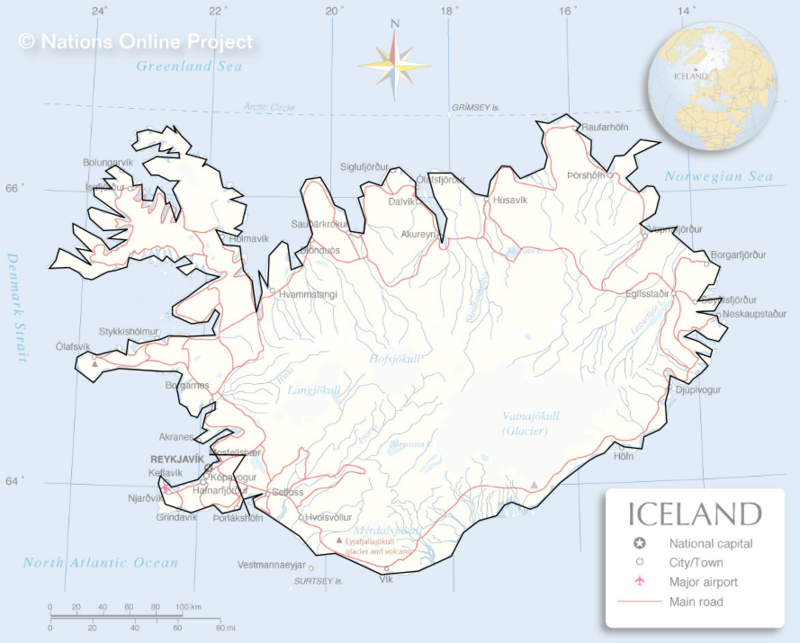 Iceland is a very sparsely populated country with almost half of the country living in the capital, Reykjavík. There isn't much elsewhere in the country other than some fishing towns on the coast. But don't be fooled, move to the inland of the country and you'll see almost no towns at all. Chartering these towns is a hell of a job, I would know from my bigger African map published 3 years earlier, but it is much hardier to charter when you have no towns to depict at all. 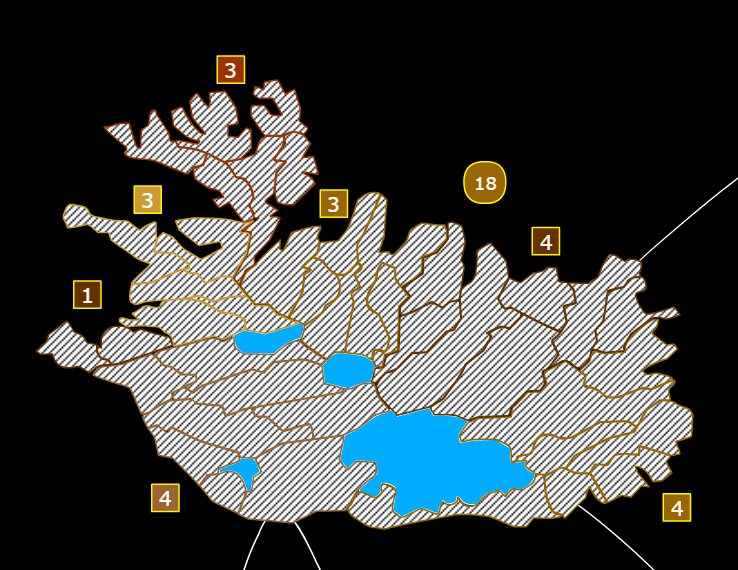 The inner mainland of Iceland mainly contains gletsjers, wastelands and natural parks. Coming to a conclusion, I don't think you should keep this map this huge. I would rather suggest to merge territories together and make a more efficient smaller map of about 500-800 territories and not to make one of around 1000+ and more divisions. The size you're currently using (I guess it's the maximum) for your Icelandic map is preserved only for the most biggest maps on the site. I don't think you should blow your map out of proportion like that. This creative input also doesn't make you worry about naming stuff using a random generator. 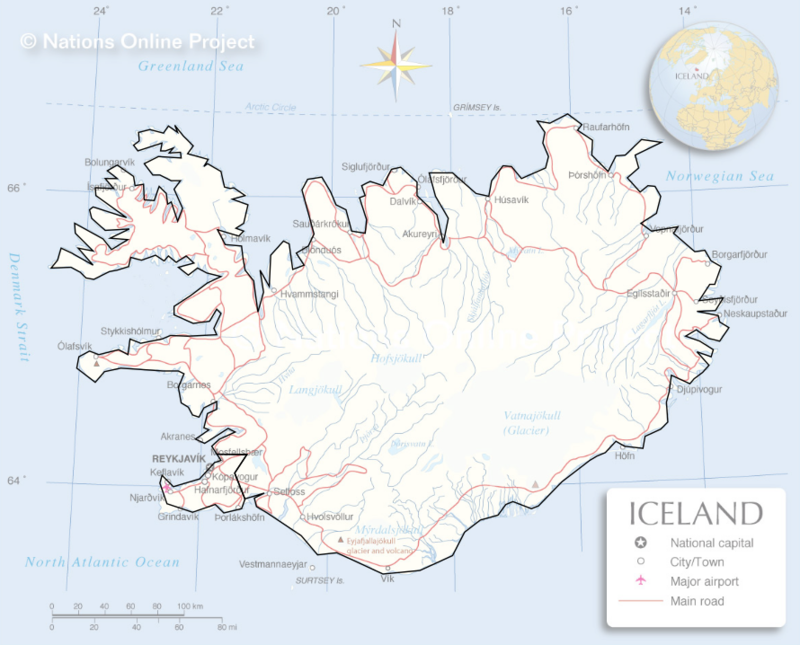 Iceland's geographic composition is quite unique and it should be shown. Last but not least, your borders overlap. 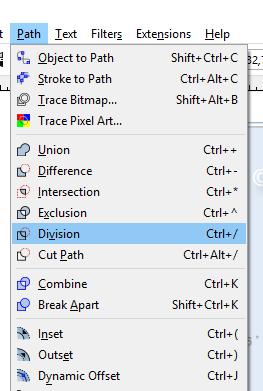 This probably has to do with you drawing all shapes by yourself and not using any other tool rather than the pencil tool. Drawing all the shapes by yourself takes way more time and effort I could say. But if you're using Inkscape this should work out to fix the problem. and voilà you have a clean border! note: for bonus borders we use a different method that involves CTRL+ALT+K but that's for later. Since you don't use bonus borders in your map, this should work out fine. Additionally in this example I used the bezier drawing tool for drawing stuff which draws straight lines instead of curved lines and works way faster than the pencil tool. Perhaps you could give that a try as well? The island of Hjorsey made my day. Who would even play a diplomacy on Iceland? There's only ever been one government on Iceland ever, as far as I know. Maybe in the Second World War it got invaded, but still, not much for diplomacy. Please, I beg of you Chung Tzu, make your borders neat! Don't use the pencil/freehand tool, use the belzier/straight line tool. It will make your map look much better, I promise. Besides, you aren't even that far along, so it would be easy to restart again. *sigh* I suppose I'll start over again. :/ Thanks for the tips Belgian. And Жұқтыру, I don't see your point. I've played diplomacies on pretty much every kind of map out there. They're all fun. But, maybe that's just me. Now, what about the airports? Is that a good idea, or should I take them out and just make it a normal map? Upvoted for the white outline. And do listen to Belgian's advices, he knows his stuff. He made the best Iceland map out there. I have listened, and it looks much better now. Looks very good. Names will be tough, I would just do very extensive research on google maps etc to find all the town names, however there will be many small villages, as the population is around 320,000. Maybe you can use landmarks, like mountains, caves, glaciers, major waterfalls, river deltas, etc along with town/city/village names for a thought. That's what I plan on doing. Probably gonna add some mountains for a physical effect on the gameplay as well.